Nutrition facts labels on food packages are getting a long-awaited makeover, with calories listed in bigger, bolder type and a new line for added sugars. And serving sizes will be updated to make them more realistic - so a small bag of chips doesn't count as two or three servings, for example. First lady Michelle Obama is expected to announce final rules for new labels in a speech May 27 as part of her "Let's Move!" campaign to combat childhood obesity. 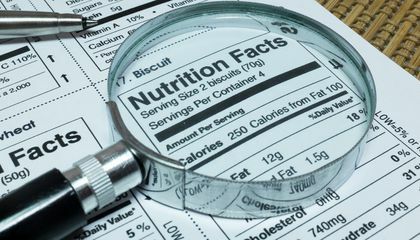 The changes were first proposed by the Food and Drug Administration two years ago, and are the first major update of the labels since they were created in 1994. They are now found on more than 800,000 products. The overhaul comes as the science has changed in recent decades. While fat was the focus in the 1990s when the labels first were created, there is now more concern about how many calories people eat. The calorie listing will now be much larger than the rest of the type on the label, making it hard to overlook. 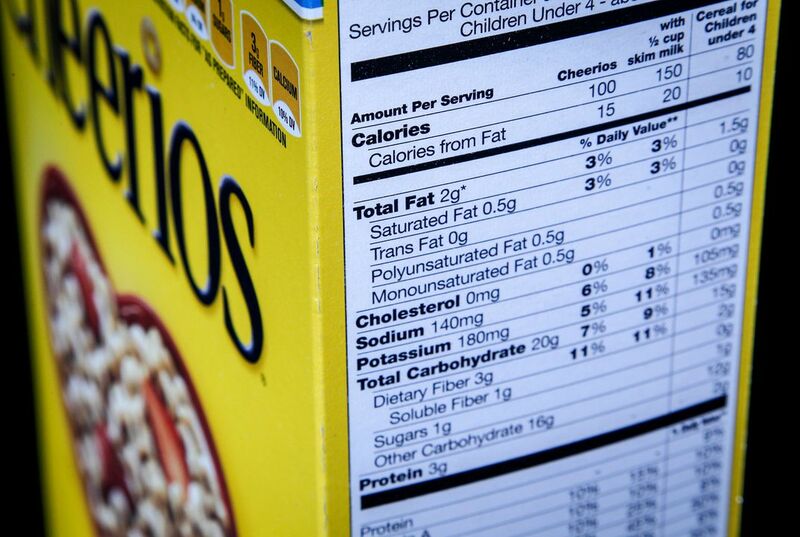 Serving sizes will also be easier to see, listed at the top of the graphic. And it will be easier to discern how many servings are in a container, part of the attempt to revise long-misleading serving sizes. Nutrition advocates have long asked for the added sugars line on the label because it's impossible for consumers to know how much sugar in an item is naturally occurring, like that in fruit and dairy products, and how much is added by the manufacturer. Think an apple vs. applesauce, which comes in sweetened and unsweetened varieties. Other changes to the labels: They must now list levels of potassium and Vitamin D, two nutrients Americans don't get enough of. Vitamin C and Vitamin A listings are no longer required but can be included. Iron and calcium will stay. Reaction to the labels from food companies has been mixed since they were first proposed. While some companies have fought the new line for added sugar, others have supported it. The Grocery Manufacturers Association, which represents the food industry's largest companies, has supported the larger print for calories. The change in serving size will help people because it will give more information about the food to be consumed. When talking about why the serving size will be changed, the author said that "[the consumers] should understand how many calories are in what they are actually eating." (par. 7) Currently, serving sizes give info about only a portion of the container's nutrition facts, leading to a lack of clarity about how many calories are in a full container. By changing the serving size, people will be more aware about what they are eating, possibly helping their health in the future. I liked this article because I, too, felt that serving sizes on food were not realistic. Changing the serving size of foods to line up with the actual amount a person consumes will definitely make a difference in labeling; most people don't get a soda and finish it in three sittings or a candy bar finished in four. The changes being made to the labels all sound helpful and reasonable, possibly even needed. Although some food distributors may not like the change, it will hopefully help people make better choices of what they consume. The reason that the change in serving size will help people know the impact of the food that they eat, because it will allow people to KNOW what there eating without only seeing the little information on the chart that is use less and confusing, instead they added the use full information that people will actually want to know when it comes to buying groceries.